(Wiki) Dakota Louis Meyer (born June 26, 1988) is a veteran of the United States Marine Corps and the War in Afghanistan. 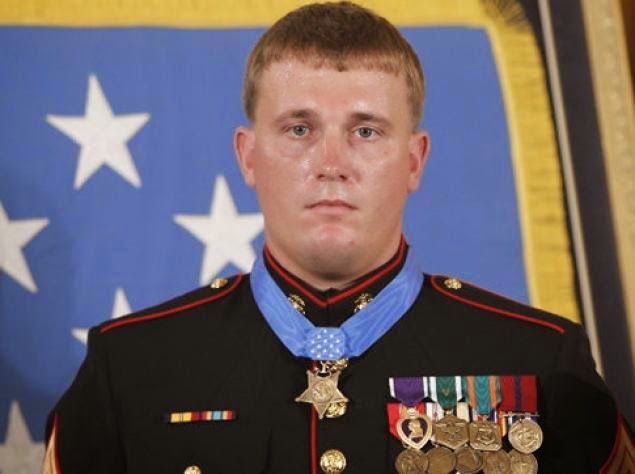 Meyer is the second youngest living Medal of Honor recipient, the third living recipient for either Operation Iraqi Freedom or Operation Enduring Freedom – Afghanistan and the first living Marine in 38 years to be so honored. On September 8, 2009, near the village of Ganjgal, Meyer learned that three Marines and a Navy corpsman were missing after being ambushed by a group of insurgents. Under enemy fire, Meyer entered an area known to be inhabited by insurgents and eventually found the four missing servicemen dead and stripped of their weapons, body armor and radios. With the help of Afghan soldiers, he moved the bodies to a safer area where they could be extracted. During his search, Meyer "personally evacuated 12 friendly wounded and provided cover for another 24 Marines and soldiers to escape likely death at the hands of a numerically superior and determined foe." 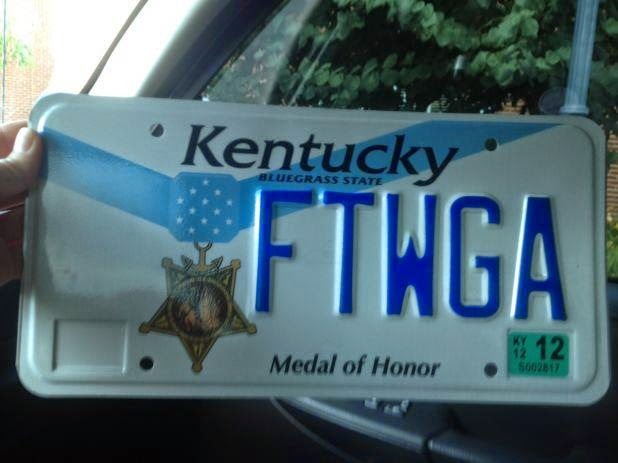 Check out his new license plate FTWGA: For Those Who Gave All.